Providing you the best range of coloured non woven bags, bags with loop & gazette and one sided gazette bags with effective & timely delivery. We are considered a leading firm and are deeply engaged in offering a wide range of Coloured Non Woven Bags to our clients. These bags are extremely light in weight and ensure long service life. Our professionals use innovative designs and latest styles while designing these bags. Offered bags are highly appreciated and urged for their mesmerizing prints and designs. 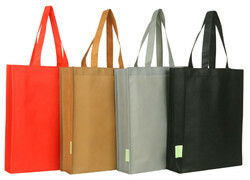 Furthermore, these bags can be availed at pocket-friendly prices by our clients. 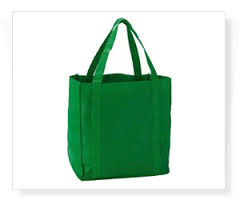 Bags with Loop & Gazette offered comes in quality construction finish and can be made available in both standard as well as customized finished construction choices as demanded by the customers. 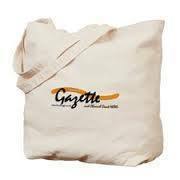 Backed ourselves with best machines and techniques, we are offering best and excellent quality assortments of One Sided Gazette Bags. These bags are produced by our engineers with the use of best quality machines and skills. These bags are excellent and beautiful.